Wolfpack come up big in the second half. 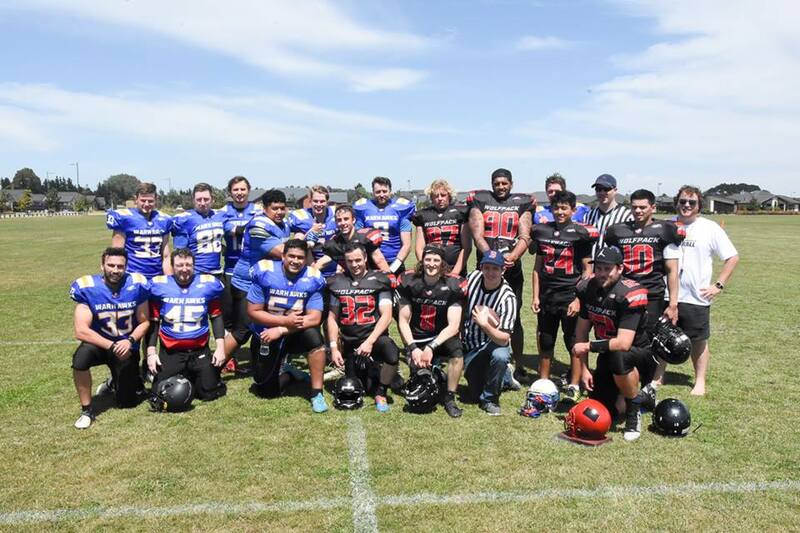 In a battle for a spot in the final, both teams were looking to put everything on the field. The first half proved to be a tough one as the ball bounced back and forth as both teams struggled to move downfield. 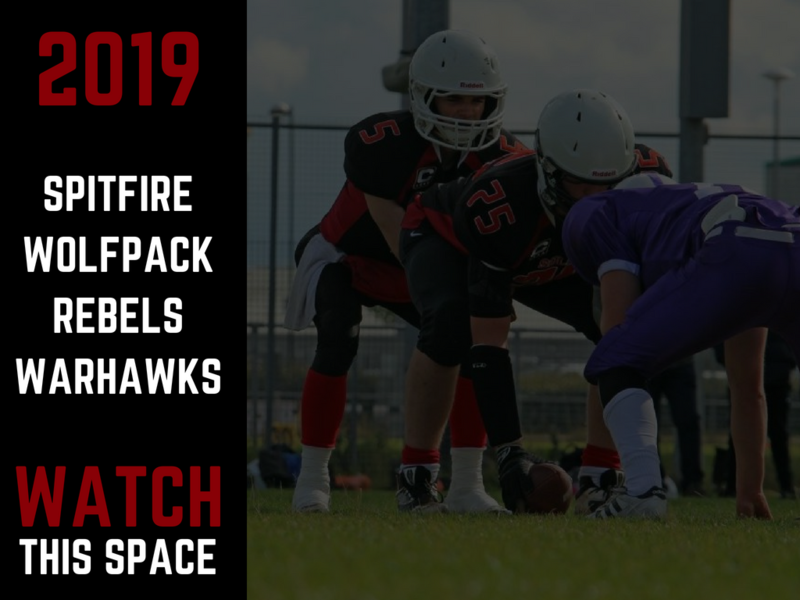 Spitfire Captain/Coach Brendan McGurk managed to ignite the team with a miraculous 20 yard Pick 6, lighting a fire underneath the Wolfpack. However, unfortunately that seemed to be the first and last time the Spitfire would see the Endzone this season. A Quick TD from Tim Hall saw the game tied at 7-7 leading into the half. After a few adjustments from both sides the second half was underway and could have gone to either side. 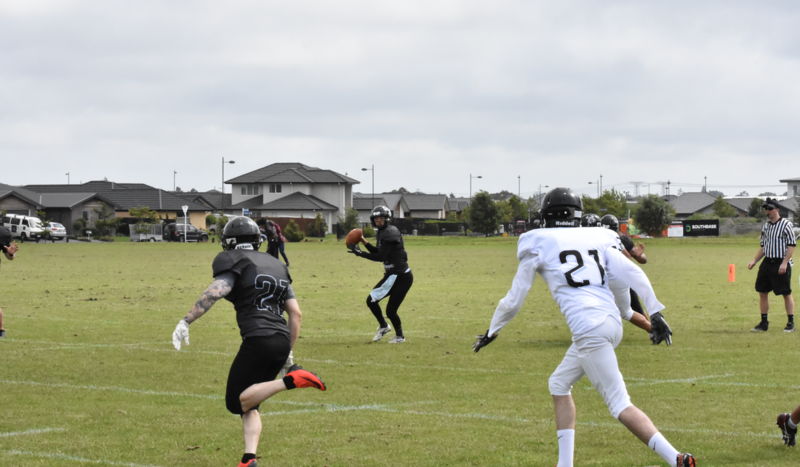 However, plagued by a few misjudgements the Spitfire couldn't move the ball down field, leaving it in the hands of a hungry Wolfpack that took advantage of the situation. Connecting for a total of 4 TDs in the second half, the ‘Pack ran away with the game. 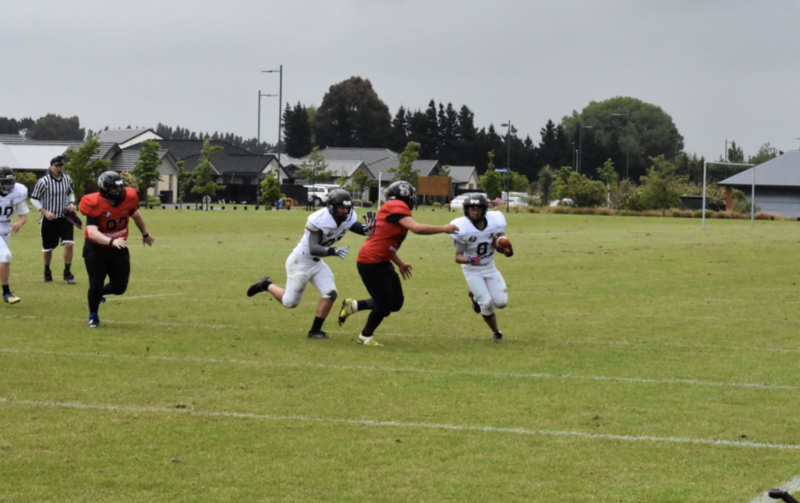 Rookie WR Norbert Muller and QB Josh Thompson connected for 3 TD’s and 100 Yards for the ‘Pack, along with Veteran LB Jamaine Limu-Franklin coasting on a 25 Yard Pick 6. 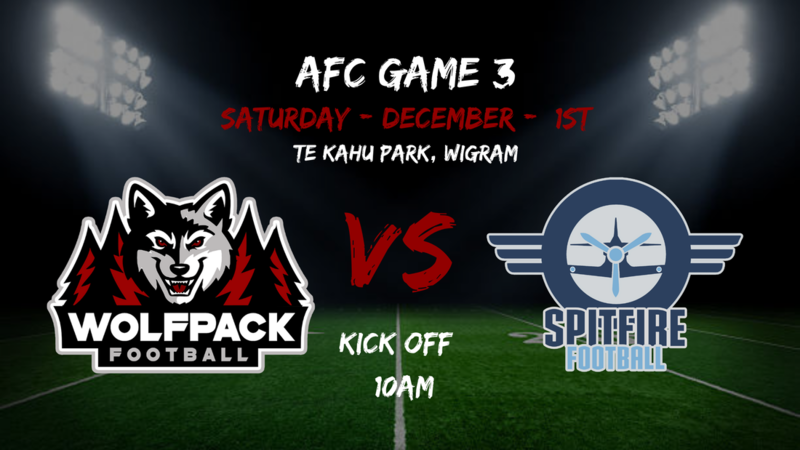 As the Spitfire regather and look forward towards next season and how they can adjust their game, the Wolfpack move onto their 4th AFC Championship game. A hard battle against the ‘Hawks next week will crown a champion for 2019 as the season winds down. 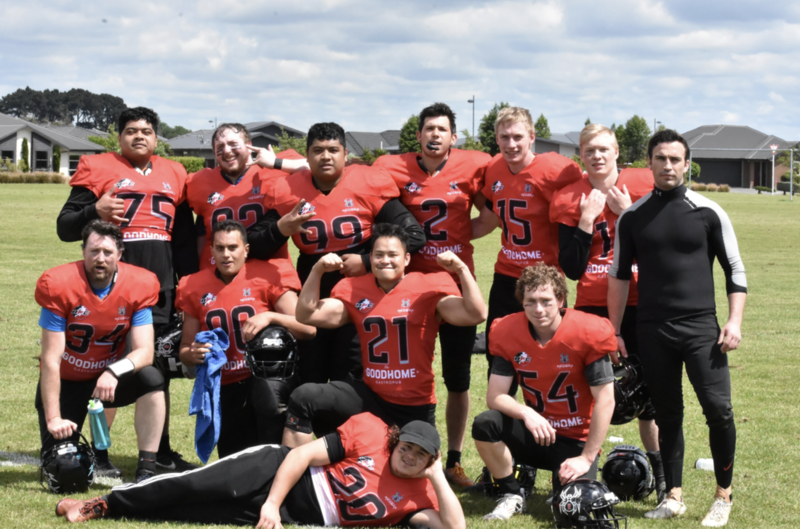 A ground and pound onslaught of rivalry led the new look ‘Hawks to their first victory over the Wolfpack in three Seasons. Taking down the former champs, the ‘Hawks look like a force to be reckoned with. 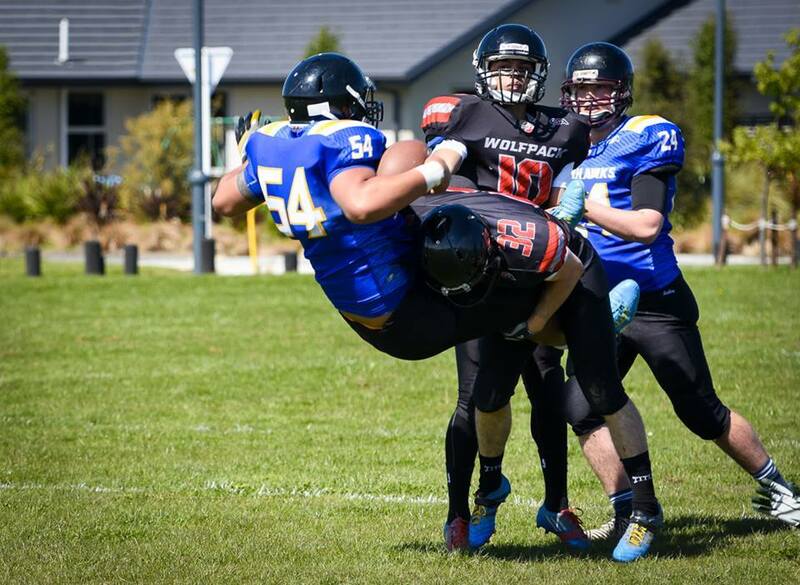 Third year captain Anthony Vea led his team to a long awaited victory behind the legs of Veteran RB/WR Daniel Thomson. In a formulaic dink ‘n dunk Warhawks Quarterback Steve Harris moved the ball down field using the weapons that surrounded him. Although often pressured by the Wolfpack, the ‘Hawks managed to rally deep in OT to secure the win. 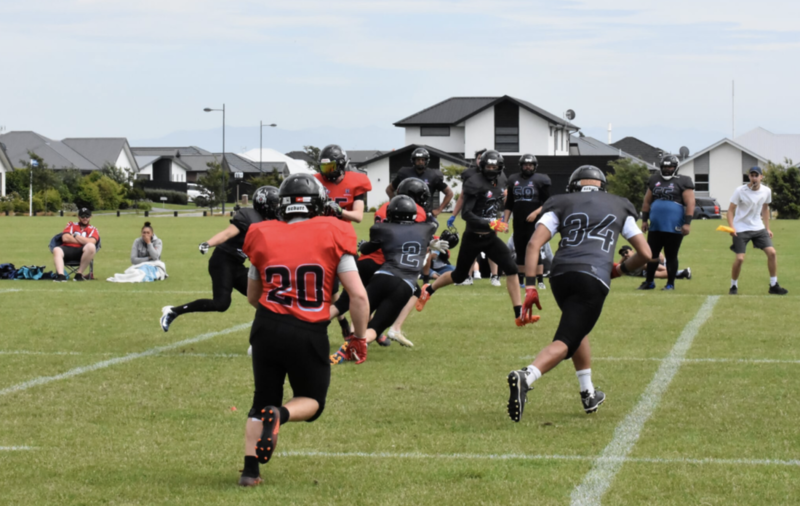 The new look Wolfpack struggled to move the chains early rallying on the arm of rookie Quarterback Josh Thompson, but found their stride in short bursts and moments. Corner Jaka Payot impressed with a 33 yard return TD igniting the ‘Pack’s Defense, yet that didn’t seem to be enough as a few missed chances and a lot of pressure from a pumped up Warhawks team proved to be too much. Finishing regulation 7-7 it looked to be anyone's game. A few crucial calls and a few missed opportunities lead to a late 21-7 finish in OT for the ‘Hawks. In a game where Defense was key, it will be interesting to see where these teams end up at the end of the Season. With the ‘Hawks looking their strongest in recent years this could be the year that they fall victorious. 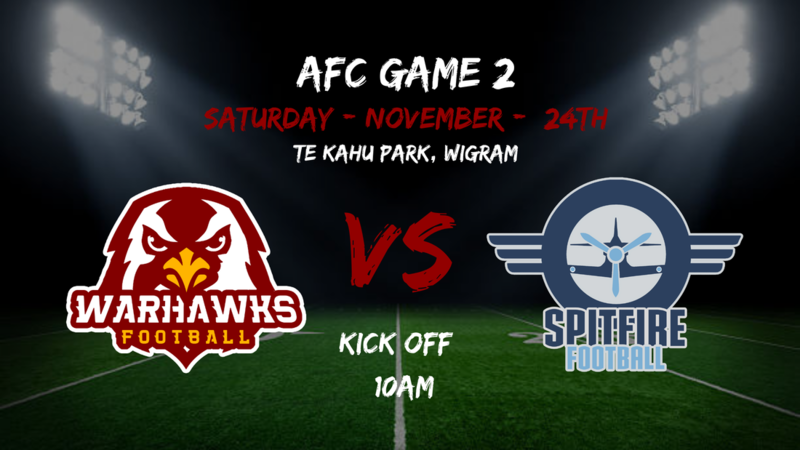 Time will tell when the ‘Hawks take on the Spitfire in the coming week. 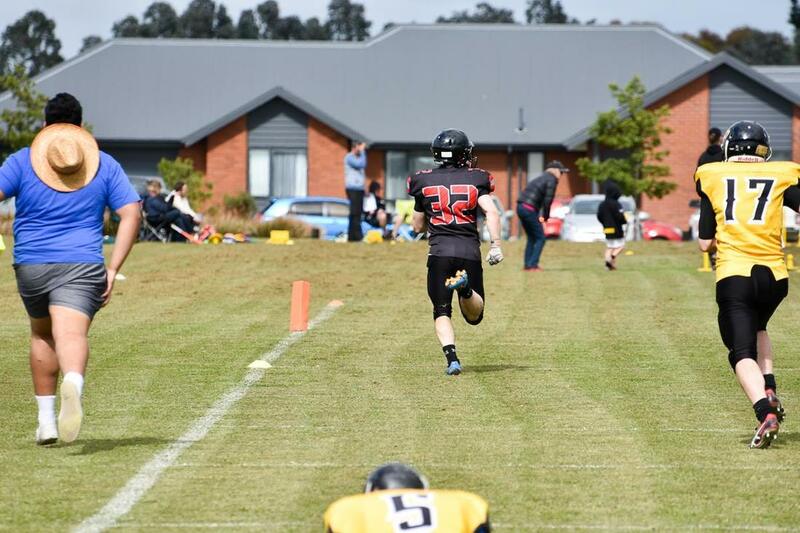 Daniel Thomson - 1 TD, 184 Receiving Yards, 11 Rushing yards. The teams are set and the games are here. This year it is DO-OR-DIE in a 3 Game series! Here we go. Teams cannot afford to lose! LET'S GO! 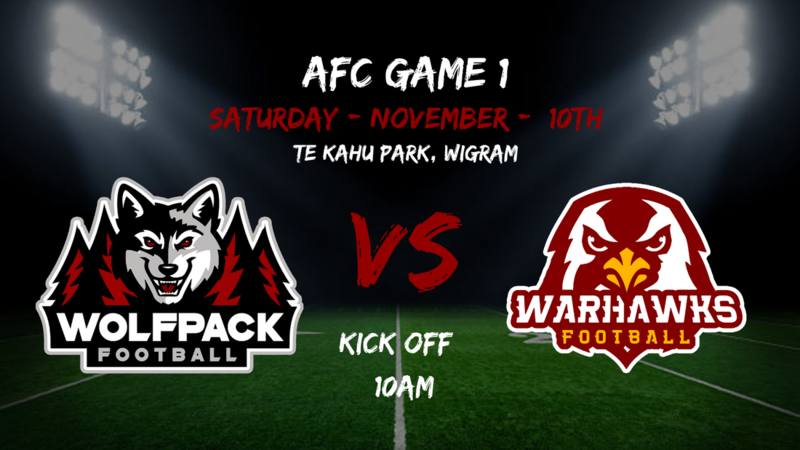 ​GAME ONE: WOLFPACK VS WARHAWKS - SATURDAY NOVEMBER 10th - 10am. TE KAHU PARK. 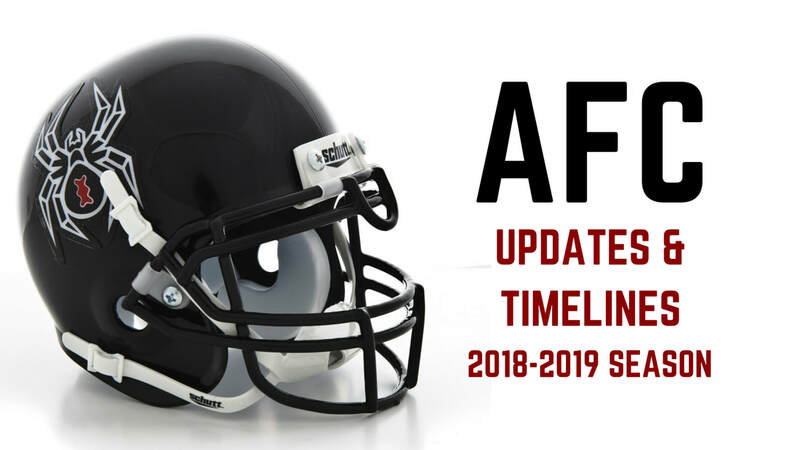 American Football Canterbury would like to announce our updated schedule and dates for the 2018/2019 Season. Currently underway through: August 2018 - April 2019. 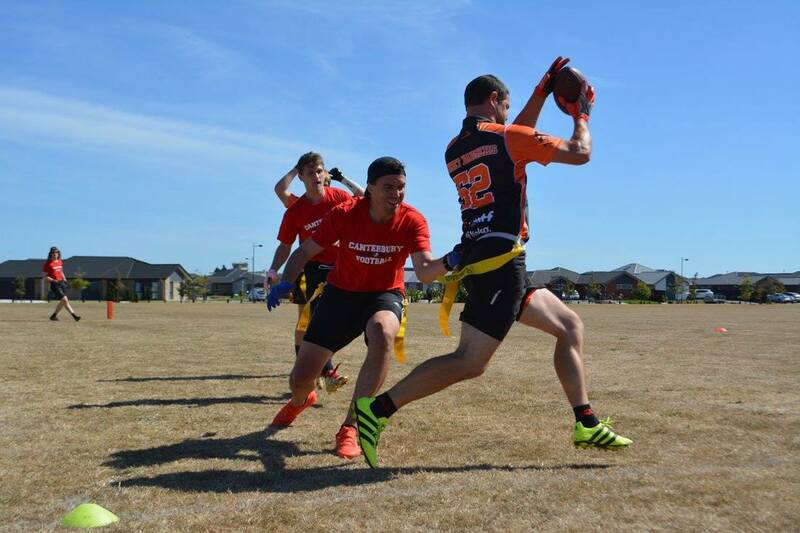 Men's Contact Football season will run through 2018 with Representative Football 'CANTERBURY REDBAX' running during early 2019. 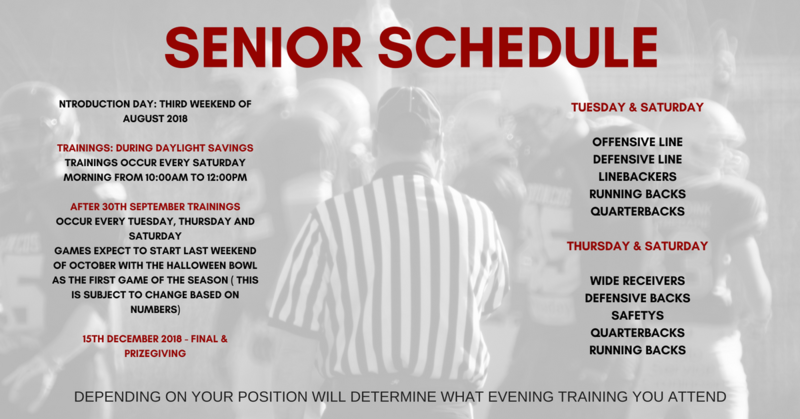 Senior Flag Football will be running alongside of Junior Flag Football. 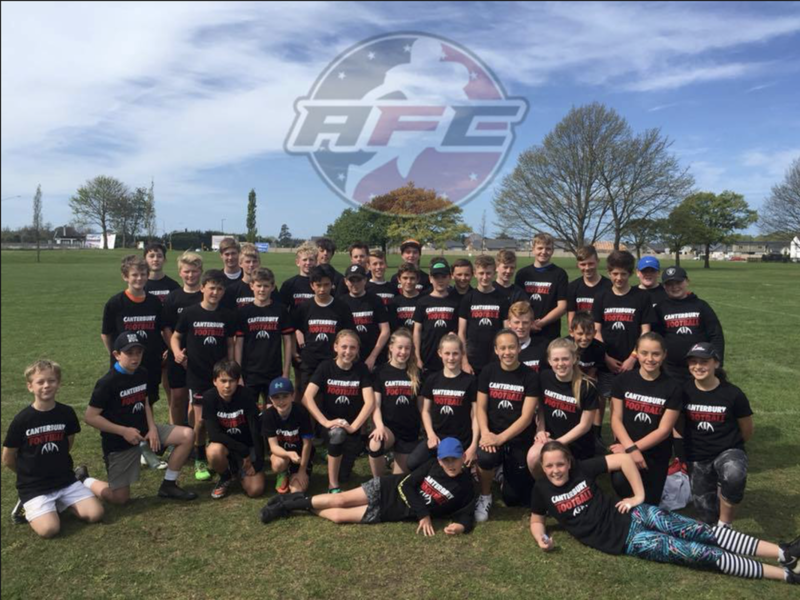 Both competitive grades (DIV 1) and Social divisions. The 2018 Season is getting close to kicking off, keep your eyes peeled for information and news updates soon! 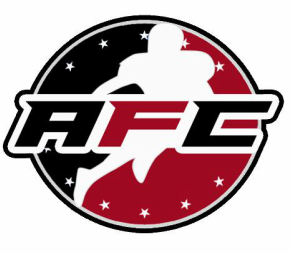 WANT tO PLAY FOOTBALL THIS SEASON?